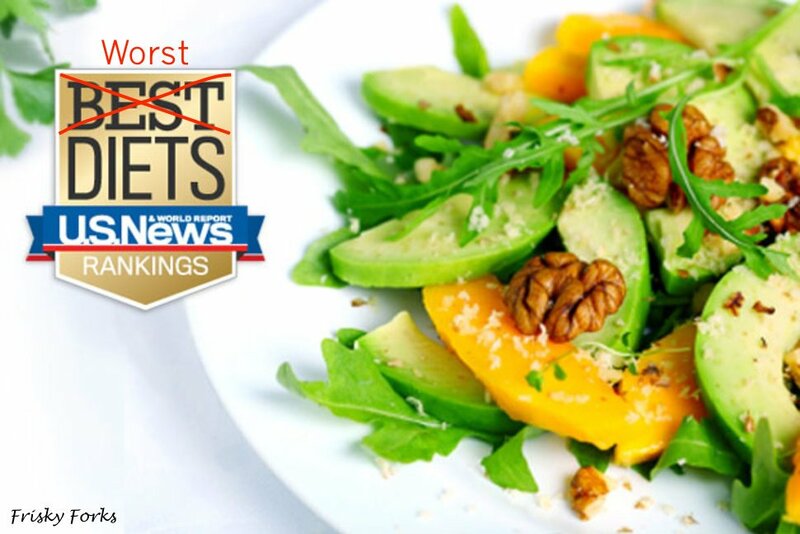 If you read “The Top 2 Diets of 2017,” you learned that the best diets are easy to follow and taste pretty good too! Of course with many more nutritious health benefits, like decreased risk for chronic disease and increase lifespan! These top 2 diets, including the DASH diet and the Mediterranean diet, each showcase a healthy way of life rather than a restrictive dieting meal plan. When you create a list of the best diets of 2017, there ultimately is going to be some loser at the end of the list. Even though these diets may be the most trendy (such as how everyone and their mom is trying the Whole30 Diet) or provide instant gratification from weight loss (from too restrictive plans like the Dukan Diet), that does NOT mean they are good for you. So, let’s find out which diets made the bottom of the list and why they’re the worst. 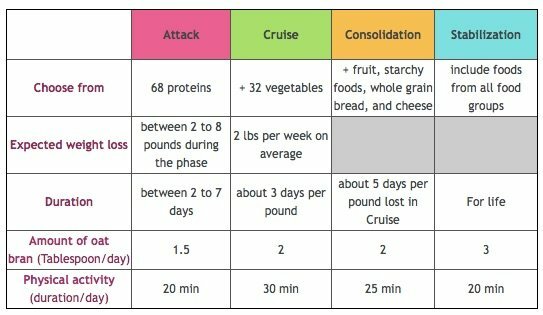 How it works: The Dukan diet has four phase, where dieters move from the “Attack” phase of all-you-can-eat protein, to “Cruise” that adds in specific vegetables on specific days, to “Consolidation” that adds some carbohydrates and fats in, to finally “Permanent Stabilization” that liberalizes the diet with a parting rules. What makes it the worst: The Attack’s phase of protein emphasizes animal-based proteins, which can lead to various problems like initial bloatedness to increased consumption of saturated fat and cholesterol… Not ideal for long-term health. Then, it’s emphasis on low-carbohydrate intake can lead to fatigue, irritability, decreased focus, and decreased energy level… Not ideal for short or long-term health. 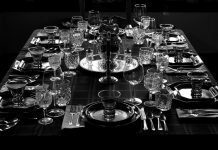 Finally, by focusing on rules and restrictions, the dieters does not learn a healthy pattern of eating for a healthy and sustainable lifestyle. Rather this diet teaches you how to diet. 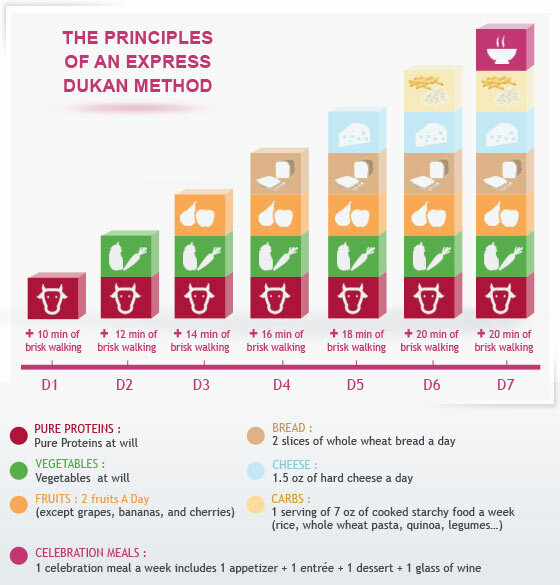 What the Dukan Diet looks like: Choose from the 100 foods allowed during the above phases. The Whole30 Diet seems like the most popular diet of 2017. Every time you turn your head, someone else you know is trying out this diet fad. Key word: Fad! Meaning it may be popular now, but not in the future. 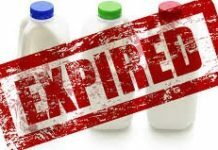 This diet landed the last place overall due to its absence of scientific support, severely restrictive nature, elimination of nutritious foods (such as whole grains, legumes and dairy), and its short-term approach with long-term promises. How it works: The Whole30 is designed to “change your life” by “eliminating cravings, rebalancing hormones, curing digestive issues, improving medical conditions, and boosting energy and immune function.” By eliminating various food groups for 30 days, when you begin to reintroduce food groups, your body’s reaction tells you what foods should be ditched, limited, or back into your diet. What makes it the worst: The program kicks off with an intense and restrictive start by completing eliminating sugar, alcohol, grains, legumes, and diary. Which leaves dieters at risk for B vitamins, vitamin D, iron, and calcium deficiencies by eliminating these crucial food groups. Then, if you slip up and cheat with a splash of creamer in your coffee one morning or a bite of a tortilla chip at dinner, you are sent back to day 1 to start over from the beginning. 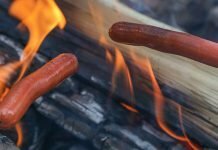 In addition to the restrictiveness of the diet, it is difficult to find foods that works when you eat outside of your kitchen. So you’ll have to plan ahead to see if there a menu option that works whenever you leave the house.